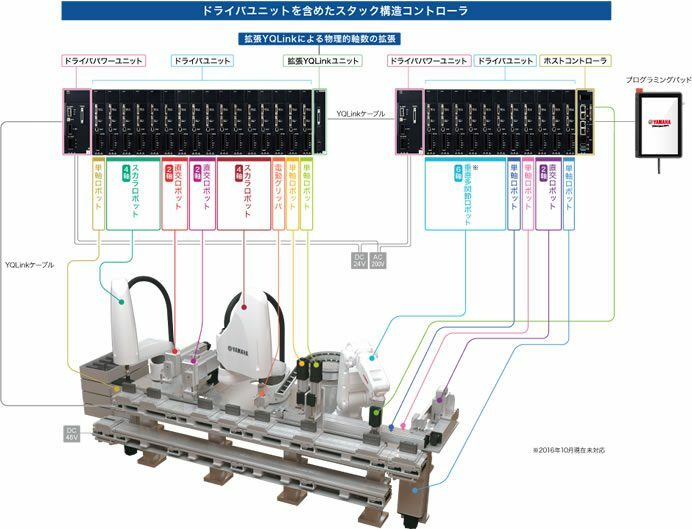 Yamaha Motor announced today that it has developed the new “Advanced Robotics Automation Platform.” This integrated control robot system enables building advanced automated production lines at low cost, in short time frames, and provides a remarkable increase in compatibility with IoT. The newly-developed integrated controller delivers comprehensive coordination and synchronous control of an entire automated system, including transport of pieces, handling, image recognition, and control of peripheral devices. This integrated control robot system has been achieved by leveraging Yamaha Motor’s strengths in its diverse lineup of robot products. Through this “Advanced Robotics Automation Platform” integrated control robot system, Yamaha Motor offers rapid resolution of issues in manufacturing sites and maximizes return on investment. This integrated controller compatible with the “Advanced Robotics Automation Platform” and various new robot products, including single-axis robots, SCARA robots, linear conveyor modules, cameras with built-in image processing capability, and controllers, for a total of 91 models and 202 individual variants, will go on sale from December 1, 2016.